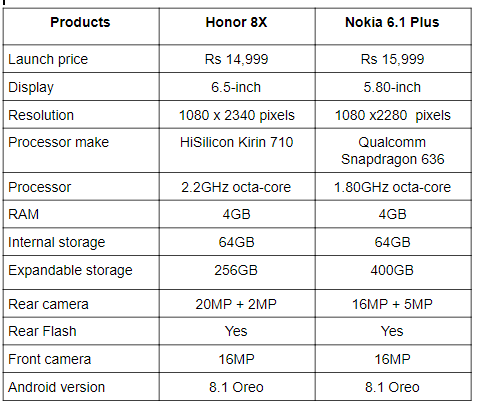 Today, we are comparing the Honor 8X to the Nokia 6.1 Plus to help you in deciding which one you should buy. The Nokia 6.1 Plus was launched in China back in May as the Nokia X6. The device is a part of Google’s Android One program and runs on Android 8.1 Oreo. The smartphone has a 5.8-inch Full HD+ display that comes with a notch on top of it. On the other hand, the Honor 8X is another mid-range segment smartphone launched by the company recently this year. It also comes with a notch on top of the display and is powered by a Kirin 659 octa-core processor. So, let’s begin with a quick specification comparison to know which one is the right buy for you. Let’s start by comparing the display of these two smartphones. The Honor 8X sports a 6.5-inch display that offers a resolution of 1080 x 2340 pixels. On the other hand, the Nokia 6.1 Plus comes with a 5.8-inch display and offers a resolution of 1080 x 2280 pixels. If you spend most of your time watching content on your smartphone then the Honor 8X might fit the bill. When it comes to the performance, the Honor 8X is powered by a Kirin 710 octa-core processor, while the Nokia 6.1 Plus is backed by a Qualcomm Snapdragon 636 processor. Coming to the cameras, the Honor 8X Sports a dual 20MP + 2MP rear camera along with a 16MP unit on the front. On the other hand, the Nokia 6.1 Plus features a dual 16MP + 5MP rear camera and a 16MP sensor at the front. 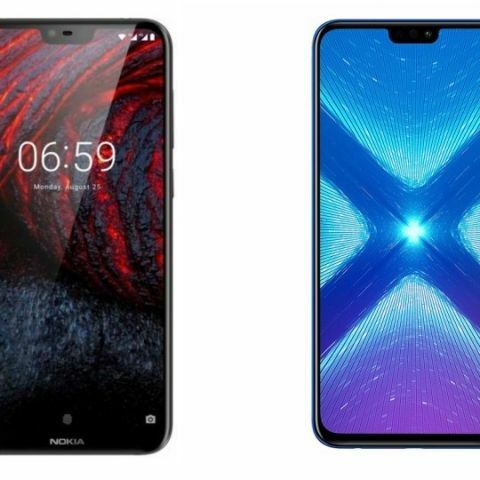 The Honor 8X is available on Amazon at Rs 14,999, while you can get the Nokia 6.1 Plus for Rs 15,999 in India. Which will be the better choice between Hwawei Honor 6x vs Lenovo moto g4 plus vs Xiaomi Redmi Note 4 ?